Vasovagal syncope and headache pain, difficulties moving? I have a vasovagal syncope. Days after I found out that I have that case, I often feel pain in the right side of my head and it feels like something is pinching my head and it getting worst sometimes. But what I observe is that, the pain happens only on right side of my head. And there were also times wherein I found difficulties on moving my right body (hands, shoulder, legs and foot). Do you think that's still symptoms of vasovagal syncope? Thanks, Juliet. As we in the headache practice community know, there are about 300 medical and surgical conditions where headaches and migraines can be highly associated. Increases and/or decreases in blood supply to the brain, including vasovagal syncope, can be triggers for poor perfusion in the brain circulation and then subsequent other clinical problems like head pain and the other symptoms that you describe. For that matter, transient ischemic attacks (TIAs) are often associated with headaches about 35 to 40% of the time. It is quite unfortunate that most neurologists aren't even aware of this situation. Often, a high-grade brain MRI (such as a three Tesla strength magnet) can show areas where there may have been poor blood flow secondary to low blood pressure. Check with your cardiologist and/or possibly seek out the expertise of a headache and migraine specialist. Good luck on your quest for success and don't give up! It's important to note that neurologists aren't necessarily Migraine and headache specialists. Take a look at the article Migraine and Headache Specialists - What's So Special? If you need help finding a Migraine specialist, check the Find a Health Care Specialist on the ACHE web site and the listing of certified specialists on the _Migraine Research Foundation site _. If you have a question, please click** HERE. Accepted questions will be answered by publishing the answers here. Due to the number of questions submitted, no questions will be answered privately, and questions will be accepted only when submitted via THIS FORM**. Please do not submit questions via email, private message, or blog comments. Thank you. **_Please note: We cannot diagnose, suggest specific treatment, or handle emergencies via the Internet. 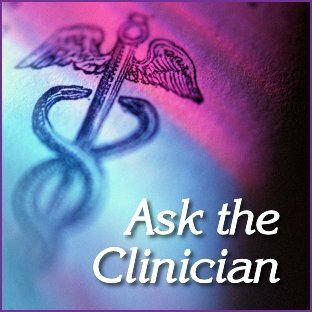 Please do not ask us to diagnose; see your physician for diagnosis._** For an overview of how we can help and questions we can and can't answer, please see _**[Seeking Migraine and Headache Diagnoses and Medical Advice](http://www.healthcentral.com/migraine/c/9924/162100/migraine-headache-diagnosing)** _.